Copenhagen; probably one of the most underrated European capitals, when it comes to interesting places to spend a few days at! The city is full of modern and historic Architecture and if you can time with some good weather, is a joy to walk or bike around in. Last Friday, I spend 24hrs in the capital of Denmark, which was just having a few days of great early autumn weather; partially sunny with temperatures around 18C. As part of my research for the trip to Copenhagen, I made my usual visit to sites like 500px and Flickr to see what some other photographers find interesting in this Scandinavian city. A lot of these were very much tourist subjects like the Nyhafen, but a few things did stood out! One being a 17th century tower called "Rundetaarn", while the second one was the Axelborg building, which has some very interesting spiral steps. The building dates back to the 1920's and still has an amazing old style open elevator. I must have spend close to an hour in this amazing piece of Art Deco architecture; framing all kind of perspectives and angles. 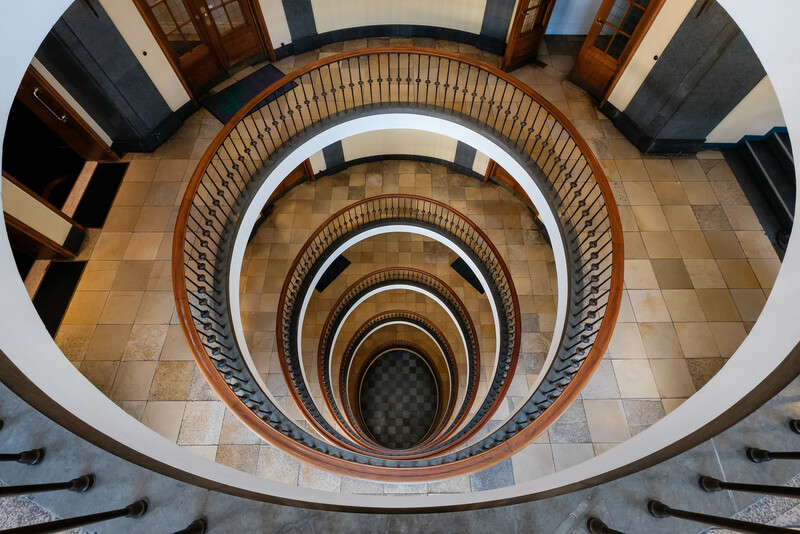 It was the tilt screen on my Fujifilm X-T2, that saved the day when I wanted to frame an image of the entire stairwell with my XF10-24 wide angle lens. Although I also made several images facing up, I do prefer the image looking down as it gives more of an Art Deco feel. While I would like for Fujifilm to come up with a quality Tilt-Shift lens, I meanwhile do love my XF 10-24 for my Architectural work that needs the extra wide-angle! More images of the great Nordic city of Copenhagen, can be found here. Remember: "You can't climb to the top, if you don't start at the bottom". Earlier in the month, I attended the Oldtimer Fliegertreffen, in Hahnweide, Germany. I'll be dedicating an entire post to this great vintage aircraft event later in the month, but meanwhile feel the need to share at least one image as a Pic(k) of the week! The one that really makes the show is undoubtedly the Swede Mikael Carlson; an airline captain who has been attending the biannual Hahnweide Oldtimer Fliegertreffen, since 1991! Beside his amazing early 20th century Thulin A (licensed built Blériot XI) he normally also brings a second aircraft of the Mikael Carlons Flying Machines collection. 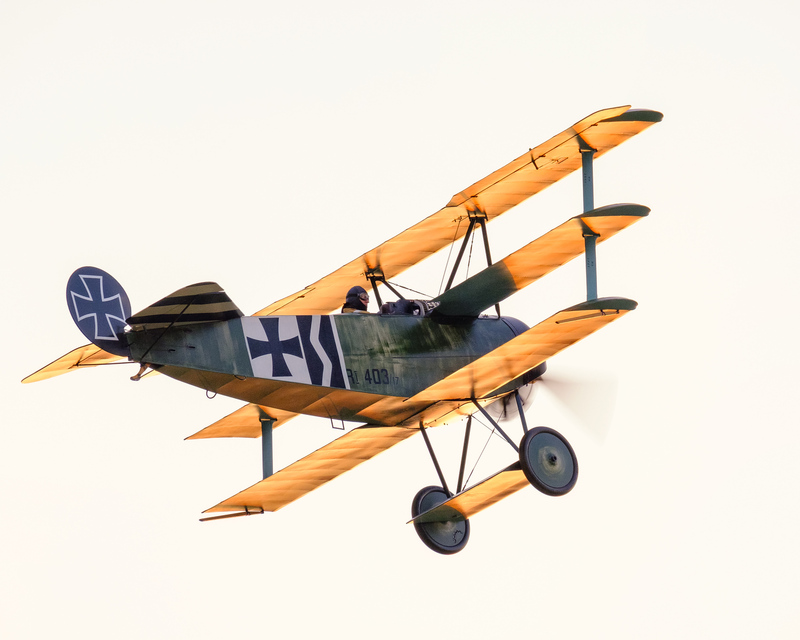 This year it was the World War I replica of the Fokker Dr1 Triplane. This is not your average replica, but is almost an exact copy of the original WWI fighter just about 100 years ago! Amazing craftsmanship displayed by Mikael. This was the type of aircraft, German WWI ace, Manfred Von Richthofen, also known as the Red Baron, flew during a large part of WWI. Like previous years, Mikael flew just before sunset when the winds were calm and the air was more stable. An amazing sight and a moment I'll never forget! In the image below I was attracted to the beautiful sunset light illuminating the bottom of the three wings as he took off from the grass runway in Southern Germany. While I'm trying to find the time to blog about the Hahnweide event earlier in September, all of the images edited so far can be found here. Lastly, I would like to finish with a quote of Manfred Von Richthofen, which is valid both for pilots as for photographers: "The quality of the box matter little. Succes depends on the man who sits in it". Earlier this week, a friend in Belgium took us on his yacht for a sunset cruise on the North Sea to celebrate a birthday of one of the other participants. The image below is a single shot, without the benefit of using fancy HDR or image blending techniques. I was particularly attracted to the combination of two complementary colours; dark blue at the top and warm yellow on the sunset. 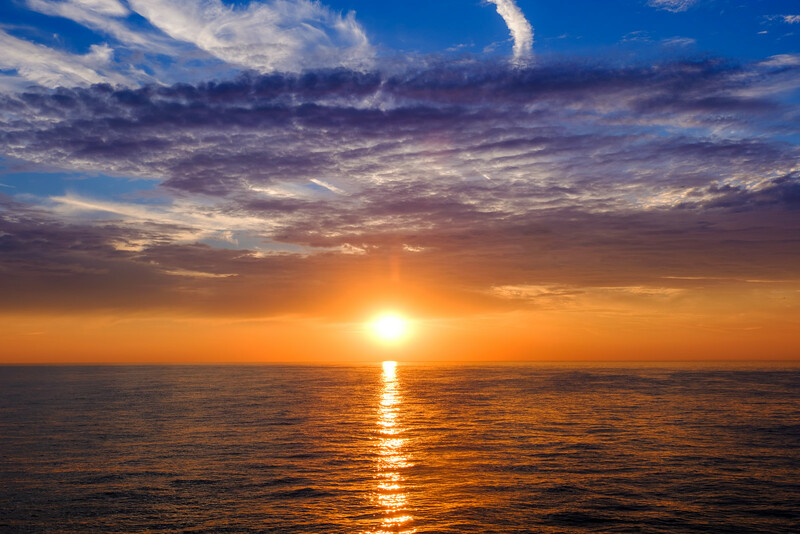 Remember: "Enjoy every sunset, look forward to every sunrise!" Next weekend is an important one when it comes to Airshow/Aviation photography for me... I'm planning to fly my 1954 Piper Super Cub to document one of the largest (if not "the largest"?) vintage/antique aircraft event in Europe. The "Oldtimer Fliegertreffen" at Hahnweide, near Stuttgart Germany, is a three day get together of over 350 historic aircraft which normally takes place, every two years in early september. Because, I'll be shooting the show with new photo-gear, Fujifilm X-T2 and XF100-400 lens, I wanted to give it some more practical testing during a small private aviation event last weekend! Especially, since my pre-production copy of the X-T2 is now on its final release firmware, I was very much interested in how it would perform for high speed aviation photography. The image below is of a friend flying his Pitts Special S-2C; a high performance US built aerobatic airplane which remained in production till 2008 and today is still amongst the best available. Fellow photographers might be questioning the small f13 aperture used (and therefore a relative slow shutter-speed of 1/240s). This is done on purpose in order to have a nicely "blurred propellor"; a must when photographing propellor airplanes in-flight! Yes, I should have reverted back to ISO 200 as enough light was available. Anyway, the challenge is trying to have sharp images while displaying a nice prop arc (or partial arc); something that with the longer focal length needs a lot of practise to perfect! I've been mainly experimenting with the new AF-C Custom settings, something that is amongst the X-series cameras, unique to the X-T2. For photographing airplanes in-flight, I've had the best keeper rate so far with "Set nr 2" (Ignore Obstacles & continue to track subject). I'm in process of fine-tuning Set 6 (Custom) for a perfect match between tracking sensitivity, speed tracking sensitivity and Zone area switching. Obviously work in progress! Meanwhile, isn't it an exciting time to be a photographer? We have finally come to a moment where mirrorless cameras like the Fujifilm X-T2 are on par or in some ways even better than the heavy and large DSLR's! Yes, the +6000USD top-end DSLR's still have an advantage when it comes to focus tracking, but I just don't see myself hauling one of these for 10-12hrs at an airshow anymore. Been there, got the T-shirt!